My two and a half year old is the ultimate limit tester. Her desire to be in control is so strong that it is quite rare to have her willingly cooperate for even the most simple of requests. ‘Lucy, in two minutes we are going to get dressed.’ ‘No, don’t want to!’ comes the reply. ‘It’s time to hop in the car, Lucy.’ Lucy responds by jumping on her trike and riding away down the footpath. ‘I won’t let you play with your food, Lucy’. Another forkful gets transferred into her drink cup. These are just a few samples of how our days often run. It can be a long and tiring road micro-managing a toddler like this for a day let alone day after day and night after night. Having said that, things have gotten a little less stressful here over the past couple of months as we have refined our limit setting and provided the clear boundaries Lucy so obviously needs. In the beginning, using punitive discipline was what came naturally to me. Consequences including time outs, raised voices and even some light smacking were all used in an effort to change behaviours and let Lucy know what she could and couldn’t do. 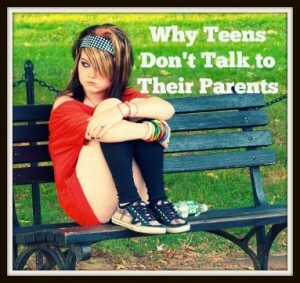 This changed pretty much overnight once we embarked on a respectful parenting journey. The problem was, as novices in this parenting field and with a lack of clear direction for dealing with the testing behaviours, Lucy went from having strict parents with clear discipline techniques to parents who were so keen to mend the damage done to their relationship with their child, that they shied away from saying no and instead allowed Lucy considerable freedom to explore, investigate and develop autonomy in daily tasks. 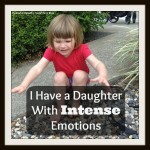 We knew we wanted to be respectful of our children but we had not yet developed effective techniques for coping with our daughter’s need to have firm boundaries set. I would like to add in here that at the initial change in our parenting philosophy to follow RIE (respectful parenting), Lucy was about 18 months and although there were clear signs she was adept at pushing boundaries, at this young age the testing was not very intense and it could actually be quite amusing to us if it was a new behaviour and something that seemed out of the ordinary for her age For example, asking her to come over to me so I can put her pants on and instead she gives a big grin and runs in the opposite direction resulting in a chase around the house. Or giving her a mouthful of food only to have her blow it out as if she were was blowing a raspberry. In these early days, this seemed like a bit of harmless clowning around but our lack of limits meant that Lucy simply amped up her testing. She wanted to know just how far she could push it until we cracked. As Lucy grew older, stronger, wiser and more defiant over the next twelve months, I started to realise that she badly needed some much more clearly set boundaries in order for her to be sure of her daily expectations so she didn’t feel the need to test all the time or so intensely. Her ‘harmless clowning around’ was starting to impact on everyone in the household as she dictated the terms by which she would or would not cooperate at any given moment. Some examples of these behaviours included downright refusing to get dressed in the morning, not getting into her carseat when we needed to go somewhere, being destructive in her play with toys, and throwing food or dumping it before she had even really started the meal. I know these are quite common behaviours for toddlers her age but for us it pretty much meant that from the moment Lucy woke until she finally went down at night we were in a battle. 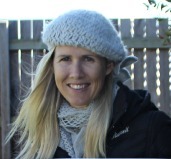 I began reading all I could on limit testing and how best to manage it from respectful parenting expert, Janet Lansbury. The overwhelming advice provided was to offer choices to satisfy Lucy’s need for some autonomy and then follow through with natural or logical consequences if issues still arose. This seemed like a simple solution to our problem and we implemented it immediately with instant success. “Lucy, would you like to wear this blue shirt or this red one?” She would obligingly choose and we would repeat this technique for every trouble spot during the day. Where to eat – at the bench or at the table, would she like to climb in her carseat herself or did she want some help etc. We became masters at empowering her with decisions and having her feel a little more in control of the things she had to do but which she was not thrilled about. Giving her the choice was now becoming part of the battle. “Nooo! I want to do it!” and then a very slow climb up into her carseat would end with her standing in her seat refusing to sit down. It was getting so stressful ‘negotiating’ with her just to get her into her seat and this type of scenario was frequently playing out in other aspects of our daily life. It was this persistent and stressful car seat battle that made me re-evaluate how I was doing things. I knew it was time to become more firm with setting limits. Lucy had too much freedom to negotiate and manipulate which was causing her to want to push the boundaries even more. I decided to offer Lucy an initial choice but restrict the game playing and manipulation by stepping in with a clearly defined logical consequence for not following through with the expected task. Lucy: Climbs up but does not sit down. Me: Set a firm limit with no room for negotiation – After waiting several moments for Lucy to sit down herself “I am going to give you three more seconds to sit down yourself or I will assume you need some help – 1, 2, 3″. Me: Follow through with the stated consequence – Amidst screams of protestation I would wrangle Lucy into her seat and hold her down whilst I got her straps on. This took a lot of force and physical effort on my part and did not sound nor feel very respectful at all. However, I have begun to realise that it is ok for my children to voice their disapproval at being made to do something. It is important however that I acknowledge their discomfort and displeasure in being forced in this way. Ultimately, Lucy does not have an aversion to sitting in her car seat or going for car trips. In fact she really enjoys them. She had been crying out for a limit to be set. She was pushing me to see whether I was really a capable mother who could control her. Although on the surface she seems to revel in the power it gives her to control such situations, she is actually far more at ease and content when she is given less of this power. Once I had followed through with this car seat technique for several consecutive car trips, Lucy became a lot less fierce in her fight and after about a week of doing this, she now climbs in and sits herself in her seat 90% of the time chatting away happily without me needing to say a single thing to her about what is expected – because she already knows with no uncertainty. In the other 10% of cases I believe she is just re-testing the water to see if I am still in control and if the limit still stands or she is tired or hungry or just irritable. As long as I am clear and consistent in my expectations, it never gets to the point where I need to wrangle her anymore. I have had to tighten the reigns in this way for many situations throughout the day. I always offer Lucy the choice and the chance to have some control over the situation herself initially but once she has shown that she is going to test the limit, I step in and ensure she knows I am her confident and capable leader. It is so important for us as parents to find a balance between encouraging independence and autonomy in our children and ensuring they know that we are in charge and are capable of stopping them when their behaviours become testing. 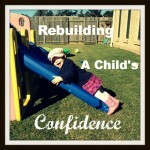 Children feel a sense of security and comfort when we can take charge in this way. So as Lucy finds more limits to test in the future, I am confident in my ability to manage them respectfully, whilst still encouraging her exploration, autonomy and independence. I know that one day she will look back and thank me for being her strong and capable Mum. 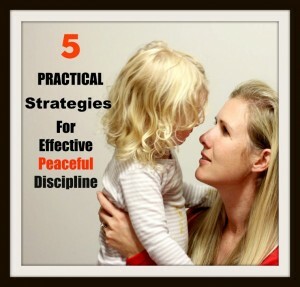 This entry was posted in Peaceful Discipline and tagged Discipline, Limit testing, Natural Consequences, punitive discipline, pushing boundaries, Respectful Parenting, setting limits, Toddler conflicts on October 27, 2013 by peacefulparentsconfidentkids. Hi K, Cleaning up toys is something we have battled with in the past also. It can be really tough but I have learned it is not yet a battle that really needs fighting at this age. This is what we have settled on here for now. When Lucy is playing with toys and becomes destructive or starts dumping, I will say to her ‘I can see you feel like dumping the toys out at the moment. When you are done it will need to be put back in the baskets.’ This gives her some processing time and when I do then ask her to pick them up she doesn’t feel so ambushed. Even if she is just playing normally and making a mess I will remind her that when she is done, it needs to be tidied up. I try to avoid saying ‘You’ need to pick them up as this backs me into a wall if she is feeling objectionable and I feel I have to follow through with making her. Once it gets to the stage of needing to clean (ie. she is wanting to move onto something else) I then state simply “All this needs to be picked up now and then begin doing it. Sometimes she will join me straight away without any need to prompt, but more often I will have to remind that she needs to help. ‘I would like you to help me pick up these toys before you start playing with x.’ Usually, if I have already done the bulk of it, she is quite happy to pitch in as it doesn’t seem like such a daunting task. She would never pick up everything on her own and I have learned that it is unreasonable to expect this of her at this age. I am happy if she has helped even if it is just a couple of small items. If she is playing independently and I am not completely present with her eg hanging out the washing whilst she plays, I never expect her clean up her mess. If she is around whilst I am tidying it later I might hand her something and say, ‘could you please put this in the cupboard’. Normally she is happy to oblige and she then begins to get the sense that her mess does need to be tidied and fairies don’t magically do it for her. I actually wrote a blog about this a little while ago. The theme was really about my own anger management but it was centred around picking up after my two year old. You might find it helpful to read. 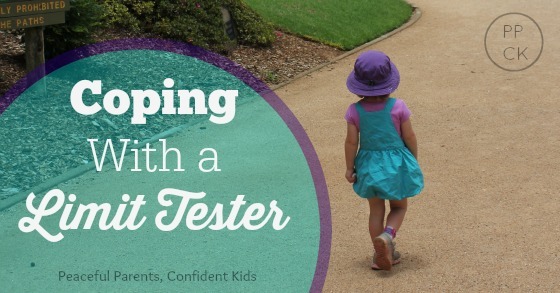 This sounds like my son all over, but he’s 4 now & is slowly easing off with his testing. Hi Nae, glad to hear your son’s testing is easing off. I think it must take some kids longer than other to be confident in the limits set for them. My youngest rarely tests and responds very quickly to reminders not to do something. Interesting post – brings back to me a book I read once on setting boundaries, how natural it is for people and kids of all ages to test their boundaries, and how much happier and secure they feel once they know their limits (though they don’t always know so themselves). Do you remember what the book was called, Kate? It sounds like it would be a good read! I’d like to know the name of this book too! 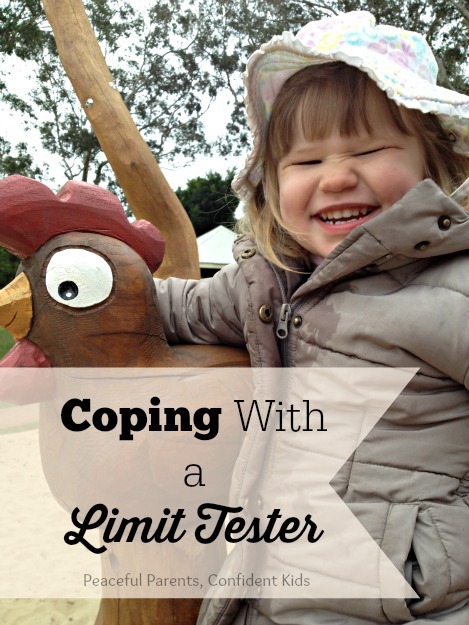 I once read that limit testing kids are sometimes looking for firm boundaries so they feel like someone else is in control, so they don’t have to be…. so they feel safe and secure. That was like a light bulb moment for me for one of my kids in particular. He was pushing the boundaries and not responding to choices because he just wanted someone to take the burden off his shoulders. Once I started giving only two choices and sometimes just standing firm things improved a lot… he now knew where the limits where and that I would hold them for him so he no longer needed to push so hard!! Makes total sense, Kate! It’s amazing how simple the concept is yet so hard to put into practice sometimes. Strong-willed children can be formidable opponents when they are having limits set. It is nice to think that they are actually thanking us for them deep down! You’re always making me consider my parenting which is fantastic because I think that’s really important as a parent. I do love some of your strategies and i’ll be trying them on my 2.5 year old twins! Thanks Penny, reflecting on parenting is probably one of the most valuable things we can do for our children. They give us so many opportunities to learn from different situations if we take the time to reflect afterwards and admit to ourselves that we could do it better next time. I also get inspiration to try new ways of parenting through the blogs I read because sometimes you read something that just clicks and makes you reconsider your own practises – even if they seem to be working! Lucy reminds me so much of my three year old daughter. At the moment giving my daughter two options is working, The minute it stops doing so, I will be following in your footsteps and making sure there are firm clear boundaries. I wish I had wised up earlier, Elise! I definitely think getting straight onto it would have helped us! Good luck with your little one. Testing behaviours are never any fun! I hear you on the “choices game” being turned around on you! 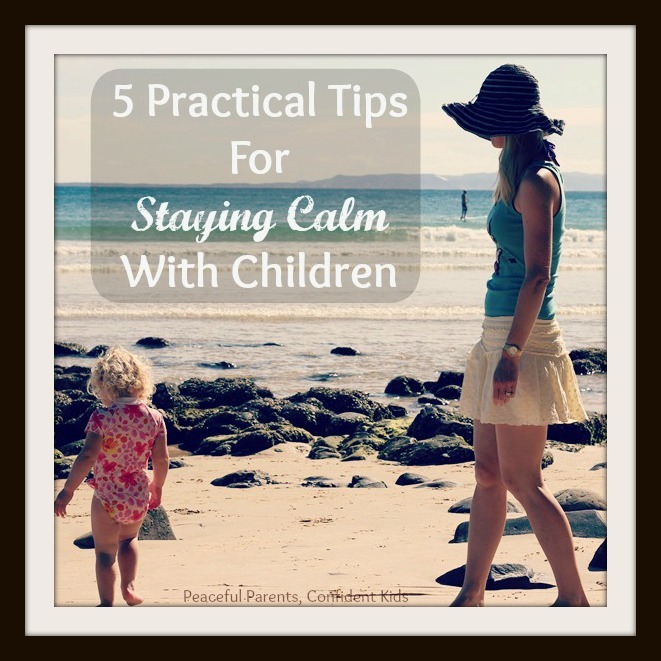 It’s a fine balance between limit setting and still remaining on the peaceful, gentle parenting path. It sounds like you have really found that balance. It definitely is a fine line Ness. One we are so carefully treading on a daily basis. Thanks for the encouragement! I LOVED reading this and can definitely see both of my boys in Lucy’s example. It’s been a similar journey for me to find the balance between being too strict and too limitless — and this parenting subject seems to be the thing I am working on every day. I love the examples you gave and feel relieved I’m not the only one struggling with this. What a great post and something for me to think about. I like that you were so careful with the words that you used because it’s obviously so important and something I take for granted sometimes. I am new to RIE, and am struggling to make things right. I can completely relate to what you’re saying, and look forward to reading more. I could have written the same struggles, and the [wrong] I am going about them, but now I know I need to set an earlier limit instead of letting negotiate so much. However, I was a very specific question. My husband and differ in parenting techniques, he is very playful with our strong-willed 3.5 and I have no playful bone in my body. My husband has found that to get him to do anything he races him; if he needs him to go to his room: “let’s see who can get to your room faster”, to brush his teeth: “I bet I can beat you to the bathroom”, to get him in his car seat: “let’s see who can do it faster, you getting in your car seat or me putting Lil Sis in hers”, and on it goes. Now, everything has to be a “race”, and of course he always “wins”, now even when is with kids his age, he has to beat them at everything and always shouts he is faster, stronger, etc, and the in-your-face “I win!”. My husband doesn’t see anything wrong with this, but I have my concerns. How would you deal with this? Thanks! Hi Steph, It sounds like you have a very fun spirited little boy and a really great husband who has found an easy way to get your son to do what needs to be done. This style of parenting is a very common one because many people prefer not to have to negotiate with an objectionable toddler or set a limit that causes a meltdown. in short, it shies away from allowing the child to express his thoughts and emotions by keeping everything fun and exciting for him. Is there anything really wrong with this? Well, no but it may be sending the message to your son that you are not comfortable handing his strong emotions and would rather play games than directly address the issue. As for the competitive streak, it’s not all related to your husbands techniques for getting things done with your son. It is a fairly common phase and one that we have been through and thankfully come out of even though we have diligently never pitted one child against the other in races nor used other competitions to try to get our daughters to cooperate. I wrote a post on this a little while back that might interest you. The techinique I used in the the post has worked wonders and even just the other day my eldest said to my youngest “I beat you!” when she got out of her carseat first. I reminded Penny to say “And I love you!” to her sister and she did. Older sister then said, oh, you love me, ok wanna come play with me then? And off they went playing. in the past this scenario would have left the children both in a complete mess!! I see now my journey and the improvements that we’ve made my daughter and I – I don’t struggle with the car seat anymore, which is a good thing, but more with the limit setting balance itself… i have to say that it’s still very hard for me to set a limit because of my desire to let her try and learn patience while she’s trying… I would really appreciate if you could write a bit more about limit setting, the quote on your daughter’s picture is really the heart of it. still happy for every post that you write.